There are several hundred miles of rivers, creeks, lakes and streams within easy striking distance of The Fly Shop® in Redding. It’s not surprising that quite a bit of water is set aside as fly fishing only, catch-and-release, with special closures and regulations designed to help ensure that the fishing around here will stay good for generations. The Fly Shop staff will custom-tailor the day and guide to your ability and interests, putting you on the best local water. Trout and steelhead fishing here isn’t a season; it’s a way of life at The Fly Shop®, and we’ve got fine fishing nearly 365 days of the year. Whether it’s a beautiful spring or fall day, blistering hot mid-summer afternoon, or snow-covered winter morning, we’ve got the staff and the guides that can handle it. We’ll also help with flies and equipment, lodging, and transportation if you need it. Report: With general trout season coming to an end, fishing on the Fall River is done. We had an excellent season this year, and we are hoping for an even better season in 2019! Report: General trout season has come to an end, and so has the fishing on Hat Creek. 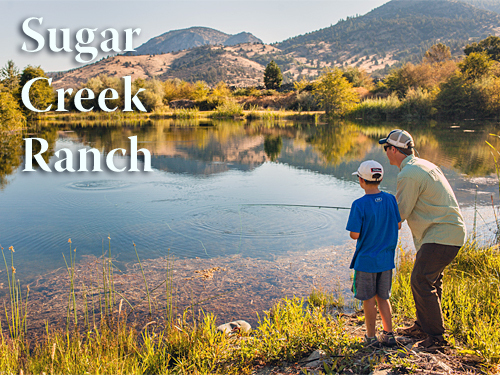 We had another great season of fishing on this legendary spring creek. Come 2019, we are hoping for an even better season! Report: Iron Gate releases are 1,850 CFS. The Klamath is a little big below Iron Gate and the visibility isn't great, but there are still fish to be had. Stay after it and you can hook some nice steelhead. Fish large Rubberlegs in black and brown. San Juan Worms will also entice these fish to eat. The Salmonfly hatch is not too far away, so it makes sense the fish are keying on the nymphs. Report: The BoR continues to lower the flow from Keswick, today they are targeted at 20,950 CFS. By next week on the 24th the river will be below 7,000 CFS. Water clarity is good with about three feet of visibility up top. The river has fished well and should continue to fish well over the next week, we have great weather and are seeing some good hatches. Sucker Spawn and yellow eggs remain the best choices, and fish are being caught on Brown Rubberlegs, Dark Lords, Amber Princes, Micro Mays, and Black Micro Poopahs. We are seeing some PMDs coming off. The Fly Shop does not offer a shuttle service. We hear Uber is a good alternative. The Lower Sacramento has many publicly accessible areas with good wading opportunities when the flows are below 7,500 CFS. Stop by the shop and we'd be happy to point you in the right direction. There are many great places you can get in and wade this blue ribbon tail water. Having said that, the absolute best method to fish the Sac is from a drift boat. Aside from being able to access all of the water, you can fish the long runs on a dead, perfect drift which is deadly on these legendary wild rainbows. And who would be a better oarsman than one of our Professional Guides? They know every nook and cranny of the river, what insects are and will be hatching, and the setups and methods that will get you onto the fish of a lifetime. Most of our fishing, whether from a drift boat, or wading when the releases are low enough, is done dead drifting nymphs. The Fly Shop's Signature Indicator Rod is nine and a half feet of indicator nymph fishing perfection designed by our professional staff right here on the Lower Sac. Teamed up with a 6 or 7 weight Scientific Anglers Amplitude Anadro Floating Fly Line or a Rio Intouch Xtreme Indicator Fly Line it will put a center pin rig to shame. Report: It was yet another fabulous season on the McCloud River. We had some epic fishing days, with some absolutely giant trout being landed. We are looking forward to next years season! Report: Pit 3 flows indicate Lake Britton is topping the dam. The entire system is big with flows above 4,000 CFS at Big Bend. We recommend something else for now. Like Baum Lake, it is fishing very well. Report: While you can still legally fish The Trinity River, for now it will be a little unsafe as the releases will vary widely from 2,000 CFS all the way up to around 10,000 CFS over the next month. For now, we have ended guided trips on The Trinity. Although the fish showed late, we had some great days over there with the best in the past month. In the meantime, you can check out The Lower Sacramento River, it is dropping into great shape right now! The Trinity has many publicly accessible areas with good wading opportunities during the steelhead season. Stop by the shop and we'd be happy to point you in the right direction. These anadromous rainbow trout are known as the 'Fish of a Thousand Casts.' For good reason! The learning curve can be quite steep learning when and where to go, and what type of water to target. 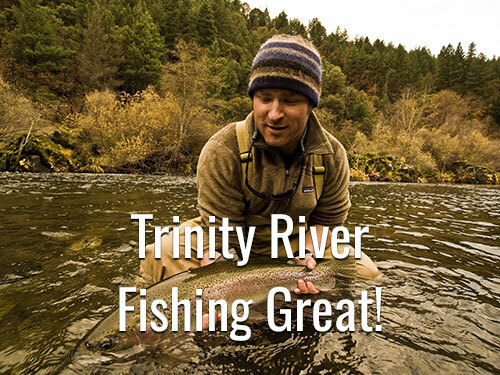 Our Professional Guide Staff has decades of experience guiding the Trinity River for steelhead. A day spent with one of our guides will get you up to speed much more quickly. Early Summer Run Steelhead on the Trinity River will take swung flies readily. Spey rods are becoming an increasingly popular method to swing flies. The Fly Shop's Signature Spey Rods are an economical way to get into a great Spey rig. Add a Ross Cimmaron II Fly Reel and a Scandi shooting head, a leader, tippet and fly and you'll be in business. Report: Good news! The closure area has been moved and the upper river is now open from Pollard Flat to the north. We have some rain and snow in the forecast, so be extra cautious if you go to stay upstream of the Slate Creek drainage as heavy downpours could cause slides and debris flows. The Upper Sacramento is big right now. 'How big? ', you may ask. Yesterday afternoon it went up to 15,000 CFS on the Delta gage. We'd recommend holding off for a little bit before you make any plans to fish it. It should be good to go in a week or so. Please feel free to give us a call for more updated information about the fire. Report: Baum Lake continues to be the hot spot with large fish still coming to the net. Look for increasing numbers and intensity of PMDs and Baetis hatches to occur as the days get longer and warmer. If your favorite stream is blown, you can count on some good days on Baum. Baetis, damsel nymphs and midges are all targets of Baum's fish. Small Red X-Mays, Zebra Midges and Zach Balanced Damsel Nymphs in Black are all working. Stripping black or olive Wooley Buggers on an I Line in the deeper pockets will get grabs. With the lengthening days and some warming, you will see some bigger bugs coming off, so make sure you have them in your box. With warming weather, travel up to the lake is becoming easier and don't miss out on the cloudy, rainy day. You will experience some of the best hatches under low lighting. Report: Iron Canyon is fishing on Fayah!!! Although it is a little low, if you can find steady current in water that isn't too deep, you can hook as many fish as you want. Be careful if you are looking to launch a boat, the mud on the ramp is deep and once you are stuck it is a seven mile hike to Big Bend. Pontoons and kayaks are great here. There has been very little attention paid to this great fishery and it shows with fish eating steadily all day once you are in the right spot with the right fly. Which is a San Juan Worm. In pink. Or a Sweet Pea. Something like that. Report: With high flows, Keswick is much like a river up top. Find the seams and fish small, dark patterns like Zebra Midges and Dark Lords are the ticket. Water clarity is perfect, not too clear, not too cloudy. Stripping leeches has been a good tactic, olive Wooley Buggers can do the trick. If you are looking for big browns, fish the big stuff deep, Dali Lamas, Sculpzillas and other similar big patterns on full sinking lines are what's required. Report: Shasta Lake is a hot spot right now with the spotted bass still in the pre spawn mode, and they have the feed bag on! They are up in the top 15' of the water column eating shad and crayfish. A shad colored Float'n Fly about 7' under an indicator is a good bet. Or, find the clay banks and fish a crayfish imitation on a full sink line back towards your boat. A few rainbows will also grab the Float'n Fly. The Pit arm is particularly dirty with The Pit adding quite a bit of color, but don't let that deter you from getting out in the Jones Valley arm. Hot Flies: Hot Flies Coming Soon! Report: Good reports of some micro Caddis coming off with some Callibaetis and PMDs happening mid-morning through the afternoon. Look for the roving bands of rainbows to tip you off. Flows through the lake are slow, so find the channel and fish the drop offs. Smaller Baetis and midge patterns fished under an indicator will help you find fish during lulls. Damsel and dragonfly nymphs are working too, so pick you poison. Good fishing can be had right now on Lewiston! Report: Manzanita Lake has frozen over. We'll keep an eye on it and let you know when it opens back up. 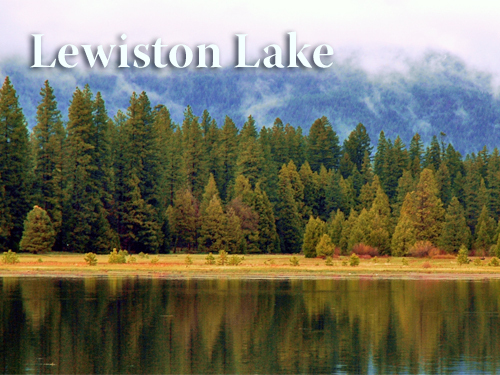 In the meantime, you can get up to Baum Lake or Lewiston Lake for some great action! Report: This lake should be on your radar as soon as the roads clear up and you can travel Hwy 89 safely. For now, you could check out Sugar Creek Ranch or Baum, Lewiston or Luk Lake for some good stillwater action. The rainbows will congregate where the river enters the reservoir in good numbers. Fishing Balanced Leeches works here. Targeting the wood rafts with streamers or Woolley Buggers is a time tested tactic on this lake. You never know when that monster brown will crush it. Report: Pyramid is pretty well right now. Fish are moving into the shallows and with the better weather it may be tough to find some elbow room. It will be tougher fishing on bluebird days, but on the cloudy days you should expect some hookups. Good flies right now are Moo Midges, Popcorn Beetles, Midnight Cowboys and Pyramid Minnows. Some are using Balanced Leeches to good effect. The most important thing to remember here is that your flies have to be in the water to catch fish! Your next cast could hook you up to a Lahontan monster who will spool you. Report: Spring has sprung and the lake has Callibaetis coming off right now along with the midges. Fish a Missing Link or Parachute Adams in #14. A #18 Parachute Adams or Griffith's gnat will get you hooked up most of the time. For even more finesse, tie on a #16-18 Zebra Midge and suspend it under an indicator. Crystal Buggers in Olive and Black Crystal Buggers are working well. Balanced Leeches fished under an indicator will get you through the slow times. Report: With general trout season coming to an end, we are looking forward to next years season. We are anxious to see what 2019 has planned, and hoping for an even better fishing year! Report: What an incredible and tumultuous season we had this year. Everything from giant fires to massive trout, 2018 was nothing short of remarkable. With general trout season coming to an end, we are looking forward to next year, and are hoping for an even better fishing season in 2019! Report: This was an absolutely crazy trout season. Despite all the fires and smoke, Clear Creek had a great 2018 season. With general trout coming to an end, we are looking forward to an even better season in 2019! Report: The fishing has been pretty decent, and with the recent rains, more fish are expected to moving in. Good numbers of half pounders are being caught every day up river on the swing with a few adults thrown in for the mix. A hot bug right now is the Copper Bead Assassin with Brett's Klamath Intruder in Orange a close second. The fish are bright and hot. Report: The season for Hat Creek Ranch has been great! The creek is in great shape, but the high temperatures make it a challenge to fish. You can find Tricos, PMDs, and Caddis throughout the day. 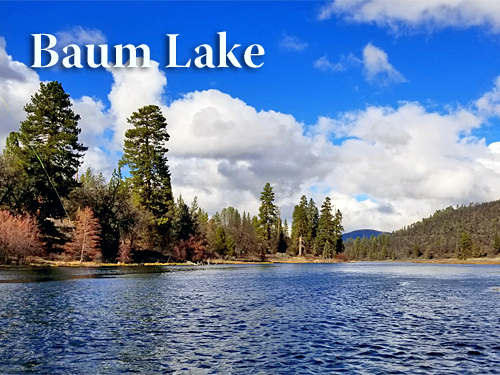 With two great places to choose from to stay on the ranch and right in the heart of some of the best public waters in the north state, this is a great location base your California fishing expedition! Report: Luk Lake is fishing really well. We'll keep an eye on the weather as we move forward, but with little rain in the forecast, the fishing should continue to get better. Trout and bass are on the menu with both coming to the net. Stick to your basic still water patterns; leech patterns, midges, and small damselfly or dragonfly imitations. Report: It was a remarkable season this year up on Battle Creek. With general trout season coming to an end, we are anxious to see what 2019 has in store for us! Report: The bass bite is slowing down but you can still get into some fish! Clousers & streamers are working well during the day. With the colder temperatures, the fish are slowing down, and so will your retrieve. This time of year can produce some of the biggest bass of the season, so do not let the slow times discourage you. Report: The lake is in great shape with improving visibility every day. Some large rainbows are crushing leeches and occasionally eating up top. The 14-16" class of wild rainbows are hunting down every last scrap they can eat. Midges and small mayfly nymphs are a good choice here either under a indicator or stripped in slowly. Balanced Leeches fished slowly using an indicator works very well too. Rock Creek is a solid choice right now. Report: The ponds on Sugar Creek Ranch are producing some great fishing days right now. Midges and crayfish are the main menu items for now, but the warming weather coming with the lengthening days has the Callibaetis dance kicking off. Fish a #14 Pheasant Tail on a floating line stripping it in slowly and you will get grabs all day long. When you see the duns throw a #14 Parachute Adams or Dark Missing Link to cruising fish. Balanced Leeches under an indicator will fill in the slow times for some great action. Report: We have some solid reports of some early topwater action on Wilk's pond. As the weather improves we will see the top water bite get better. Look for the fish to hang near the edges for now, they will chase streamer patterns down as well as hit small poppers and frog patterns. There are a couple of seeps you should check out and the largest fish seem to hang up on the north east corner of the pond. Now is the time to get a spot reserved for the pre-spawn bite!